Courtesy of Marz Community Brewing Co. If Generation Y (that’s the early end of millennials, in case you prefer buzzier terminology) has taught us anything, it’s that nostalgia is big business. From Saved By the Bell pop-up diners to Ecto Cooler reboots, America’s thirty-somethings have plenty of opportunities to indulge in and relive their childhoods. Of course, the generation raised by Nickelodeon and ABC’s TGIF lineup is more than old enough to drink, so it makes sense some of these pop-culture tributes should come in booze form, and that’s exactly why Cryo Crag, a beer tribute to the ’90s game show Nickelodeon Guts, exists. Available this weekend from Chicago’s Marz Community Brewing Co.—a collective comprised of homebrewers, professional brewers, and artists—Cryo Crag is a hazy IPA sporting a 6-percent ABV and can labels designed by Jeremiah Chiu with geometric boulders and climbing teenagers alluding to the Guts Aggro Crag mountain. The “cryo” portion of the name comes from the use of cryo hops, a concentrated powder made from actual hops that packs more potent levels of flavor and aroma. Hosted by Mike O’Malley and reffed by Moira “Mo” Quirk, Nickelodeon Guts aired from 1992 to 1996 and featured adolescent athletes competing against one another in various physical challenges, from bungee basketball to paddling through rapids, accruing points along the way. Each episode culminated in the scaling of the series’ signature Aggro Crag, a 28-foot tall peak with multiple buttons that had to activated while avoiding obstacles during the ascent. The winner took home a glowing crystal-like trophy, supposedly a piece of the Crag. The original series also spawned the international competition offshoot Global Guts. “When I was watching Guts I thought it would be cool to be on the show and I dreamed of getting a shot at the course and taking home a piece of the Aggro Crag,” Olson was quoted as saying. 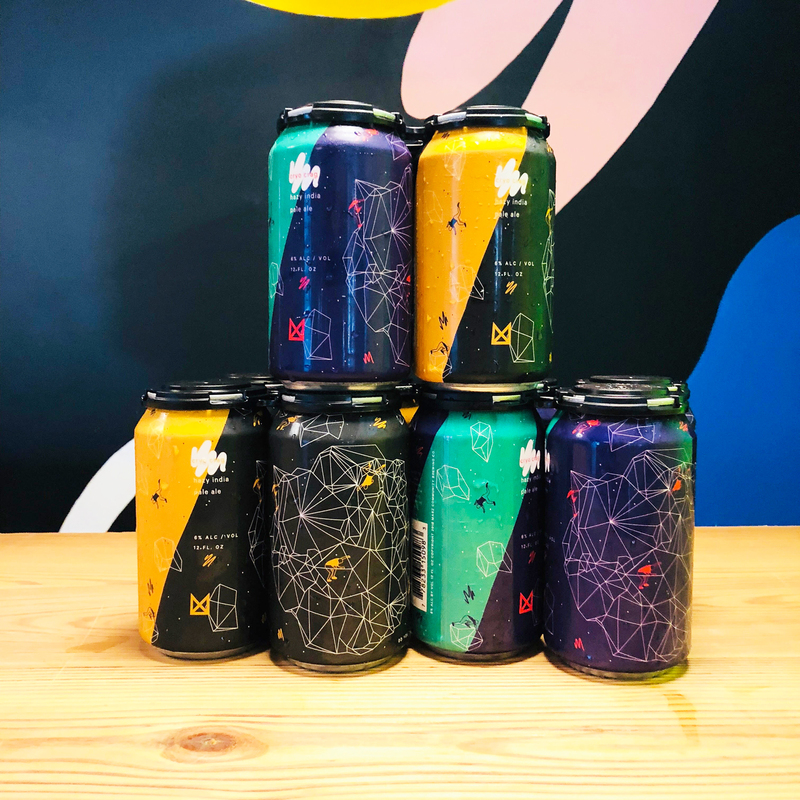 And to make that dream come true in a small way, Marz also teamed up with Jennifer Ward of Crystal Collective to offer crystal pairings with the beer, meaning anyone who conquers a can of Cryo Crag can also get their own little trophy. Cryo Crag is available for pre-order online (for pick up in Chicago only between September 15 and 22) via the Marz Brewing website. A four-pack will set you back $14 and the paired crystals are available for $15. Pre-orders end tonight at midnight, central time and the beer will also be available at the Marz taproom (3630 South Iron Street, Chicago, IL 60608) during normal business hours while supplies last.